Do you hold a PPL(A) or CPL(A) licence and would like to be able to fly a multi-engine aircraft? Then a multi-engine piston rating is a must! This rating is also mandatory if you want to take your first type rating course eventually. This course consists of 7 hours of theoretical training and 13 hours of practical training on a multi-engine aircraft. Two exams are necessary (after the theory and the practical parts). The whole MEP qualification course will take you approximately one month. Valid EASA PPL(A) or CPL(A) licence; 70 hours as a pilot-in-command (PIC); valid SEP IR rating. A Multi-engine Piston Rating (MEP) consists of theoretical part (7 hours) and practical training (13 hours) to be completed within approximately 1 month. The theoretical part consists of 6 subjects (7 hours) to be completed within 1 week. 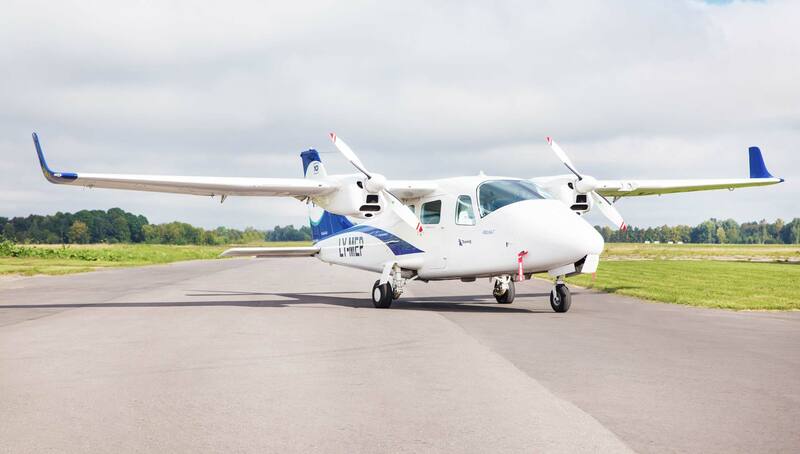 The practical part consists of 13 hours on a multi-engine aircraft Tecnam P2006T.